· In 2016, the city of Cincinnati voted to fund pre-k programs for struggling families. Now, The 74 reports on the effectiveness of these pre-k programs and how they have helped over 1,300 children prepare for their future education and lives. · How does pre-k set the trajectory for success? What advantages does it provide? · College readiness begins before kindergarten. They’re not called formative years for nothing. Children who are not ready for kindergarten are less likely to be reading at grade level by third grade and face more devastating pitfalls later, such as dropping out of high school and ending up in the prison system, says Shiloh Turner, executive director of Cincinnati Preschool Promise. That’s why her organization aims to make good on its pledge to give many more low-income youngsters — the Census Bureau estimates the Ohio city has more than 4,000 3- and 4-year olds at or below poverty level — a fair chance to thrive during their destiny-shaping early childhood. The initiative is off to a good start. In its first year, the five-year, $15 million-a-year program, overwhelmingly approved by voters in 2016, has helped more than 1,300 struggling families get their children into quality preschools. Read the full article about pre-K in Cincinnati by Meredith Nelson at The 74. Giving Compass' Take: • The Aspen Institute profiles a school in Cleveland where mentorship between faculty and students is a high priority; the impact relies on a network of relationships. • What education programs are similar to this model? How can we make sure that districts build support systems for students in every school — and that there is buy-in from administrators across the board? • Here's more on why mentorships are so important for students to thrive. Maddie DeLong built a number of special relationships with students during her service year as a City Year Cleveland AmeriCorps member at East Technical High School (ETHS). Yet one young man she worked with stands out in her memory. “When he started the school year, he didn’t get along with many of his classmates, and he wasn’t that well-known at school because he came from the other side of town,” recalls DeLong, now entering her fourth year as ETHS’s data coordinator. “He didn’t feel like he fit in, so he’d skip class and hide out in the gym to play basketball. He had a lot of attendance issues.” This student was a remarkable basketball player, but he didn’t display that kind of confidence in the classroom. DeLong developed a strong relationship with him over the course of the first semester, pushing the student to focus on his schoolwork in addition to his time on the basketball team. “I told him he couldn’t play basketball if he didn’t do well in school,” says DeLong. “During our work in small groups, I saw that he was much further along academically than he let on. He started doing better during our one-on-one sessions designed to accelerate his academic and social-emotional development, and he was able to translate that success into better performance in class.” ... At East Technical High School, that support comes from a network of adults in the building who build deep relationships with every student. The school’s overall strategy for improvement is built on the idea that each student needs an adult — whether it’s a teacher, administrator, coach, or other adult support — who can serve as his or her advocate. Read the full article about investing in relationships at one Cleveland high school at The Aspen Institute. 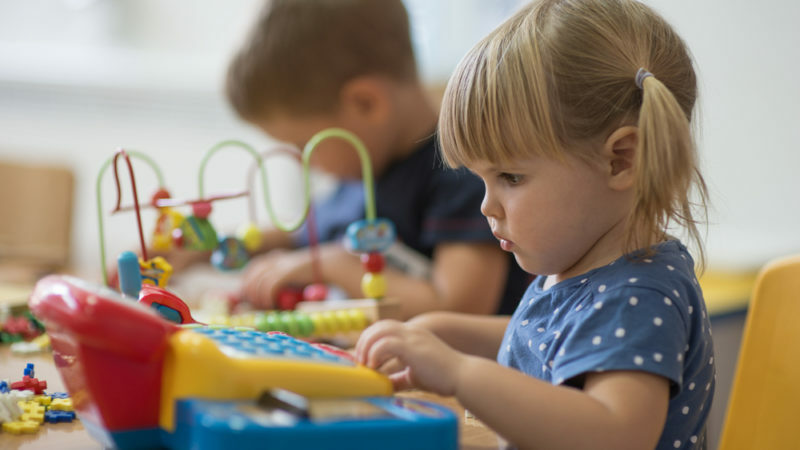 If you are interested in Early Childhood, please see these relevant Issue Funds, Charitable Organizations or Projects where you can get involved.